The Jilin 1 satellites are owned by Chang Guang Satellite Technology Co. Ltd., a commercial spinoff of the Chinese Academy of Sciences. Chang Guang has launched 12 satellites in the Jilin 1 family since 2015. The Earth observation platforms are designed to collect high-definition video, color pictures, and detailed hyperspectral imagery of Earth, providing information to the Chinese military, civilian agencies and commercial users. 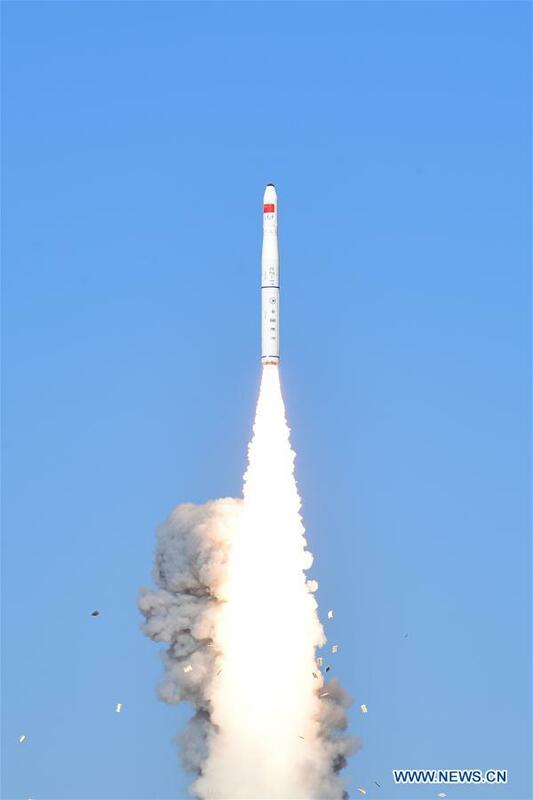 Xinhua also reported that the Long March 11 carried two smaller satellites into orbit as secondary payloads. One of the smallsats, named Lingque 1A, is the first test satellite for a planned constellation of Earth observation and data relay satellites planned by Beijing ZeroG Technology Co. Ltd., Xinhua said. The other payload — Xiaoxiang 1-03 — is a tech demo satellite developed by Spacety Co. Ltd. to verify radio communication and small remote sensing experiments, Xinhua reported. Monday’s launch marked the sixth flight of a Long March 11 rocket since it debuted in 2015, and the fourth Long March 11 mission since the beginning of 2018. More Long March 11 launches are planned this year, including China’s first space launch from an ocean-going platform. A Long March 11 rocket is scheduled to lift off on a satellite launch from a converted container ship as soon as June, according to Chinese state media. 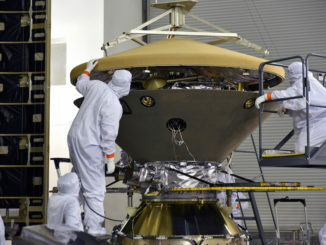 Developed by the China Academy of Launch Vehicle Technology, or CALT, the Long March 11 measures nearly 7 feet (2 meters) in diameter and can haul up to 770 pounds (350 kilograms) of payload to a 435-mile-high (700-kilometer) sun-synchronous orbit. 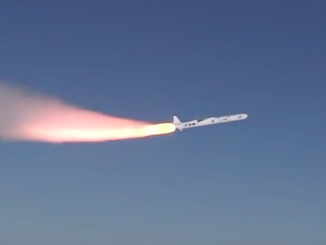 Other solid-fueled rockets sized to loft small satellites have debuted in China in recent years, including the Kuaizhou designed by the China Aerospace Science & Industry Corp., a different unit in China’s state-run defense and aerospace apparatus from CALT. Both of the new rocket types blast off from a wheeled mobile transporter. Several commercial Chinese rocket companies are also working on new smallsat launcher designs, including the startup LandSpace, which conducted its first orbital launch attempt in October. In a statement issued after Monday’s launch, CALT said the Long March 11’s simplicity and efficient operations scheme — enabled by its use of pre-packed solid propellants — make the rocket well-suited for launches at sea. 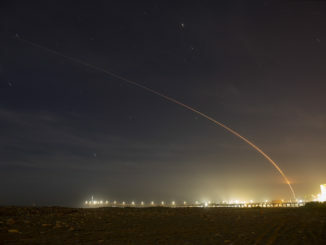 Long March 11 flights staged from an ocean launch pad in waters near the equator would allow China to send up satellites into low-inclination orbits, a destination not readily available for launchers taking off from spaceports on Chinese soil, CALT said.